Attention true believers, Marvel comics wants to help you catch up on your origin stories with a giveaway bonanza of 700 digital comics—at least, once it sorts out some superpower-sapping technical difficulties. The original offer—which was to run through 11 p.m. ET on Tuesday, March 12, featured a free downloads of hundreds of first-issue comic books through its mobile apps for Android and iOS or online comic store. The promotion, dubbed Marvel #1, includes a mix of classic books like The Avengers and The Amazing Spider-Man, as well as more current series including books from the Ultimate Universe, Marvel Now, and Marvel Zombies. As of Monday evening, however, Comixology suspended the Marvel #1 promotion from both Marvel and Comixology—a popular, multipublisher digital comic store for Android and iOS—due to an “immense response” that overwhelmed the company’s servers, Comixology CEO David Steinberger said in a blog post. The offer, which was made available via Comixology’s systems, will be reinstated at a later date, Steinberger said. You can register for e-mail updates here to find out when the Marvel offer resumes. It became apparent it would take more than the power garnered from a radioactive spider bite to download all the Marvel freebies Monday. When I tried Monday morning, Marvel’s Web-based online comic store was down and I had trouble signing into the mobile app on my Nexus 7. The problem also affected Comixology. 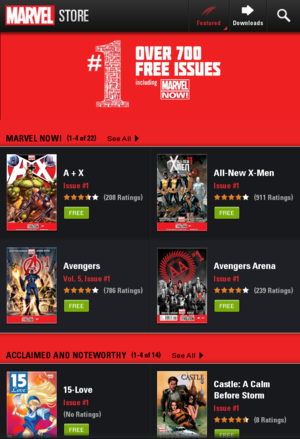 Comixology supplies the technology that power’s Marvel’s mobile app as well as its own. Comixology’s servers apparently took a pounding on Sunday from fans looking to get their 700 freebies and the company’s infrastructure, lacking the healing power of Wolverine, has yet to recover as the day went on. Marvel’s single issue digital comics usually cost between $2 and $4, so these downloads will save a few bucks once they resume. 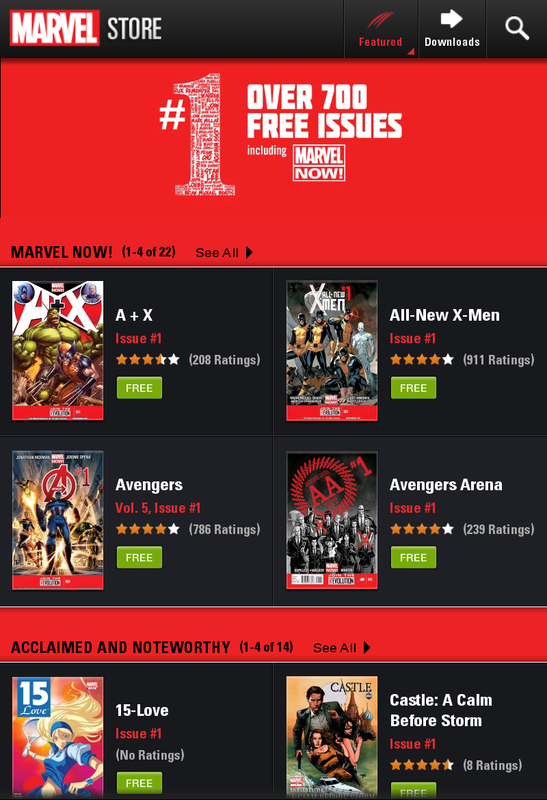 Marvel often makes first-issue digital comics, as well as other books, available for free through its apps and online. Civil War #1, for example, is part of Marvel #1 and has been offered for free previously. The difference between the current promotion and other free download offers from Marvel is that the current promotion offers a Hulk-sized amount of comic reading for free all at once. Updated at 4:10 p.m. PT with information on the suspended promotion. This story, "Comic book freebies topple servers for Marvel, Comixology" was originally published by TechHive.